A homeschool portfolio is a collection of documents, photographs and other items that you can use to show how your children are progressing and what they have achieved. Keep records for your home school portfolio stored in a binder or keepsake box so they will be readily available at the end of the term. If you have two or more children, prepare a separate notebook or box for each child. When preparing your portfolio, carefully consider your audience. Will the portfolio primarily be viewed by friends and family members? Will it be shown to potential employers and college admissions departments? Do you plan to use it to comply with homeschool requirements in your state? If you are preparing a homeschool portfolio in order to comply with your state laws, make sure you are aware of the level of documentation your state requires. Here is some additional about homeschooling requirements. Here are 10 items you may want to consider including in your home school portfolio, along with printable forms you can use. You can edit and fill these forms out on your computer, or print them and fill them out by hand. Feel free to share these forms with others by linking to this page. A title page stating your child's name and grade, and the current school year. Follow this link to download a printable Title Page. You can insert your child's photo and edit this from on your computer. Legal documents required by your state, such as a letter of intent, attendance records, shot records and standardized test scores. A course of study detailing the subjects you taught and the resources used to teach them. Follow this link to download a printable Course of Study. Simply fill in your objectives for the year, and the curriculum, books or other materials used. A statement of goals and objectives that lists 1 or 2 goals per subject, and the progress you made by mid-year and the end of the year. Here's a 2-page goals and objectives form you can use. You can edit the objective and subject headings on this form, and fill it out on your computer. A list of books your child has read, and the date your child read them. Follow this link to download a printable Homeschool Reading Log. A list of field trips and activities in which your child participated. Follow this link to download a printable Field Trip and Activities Log you can use to record your child's activities. Samples of your child's school work, including completed workbook pages, tests, writing assignments, diagrams, artwork and photos of projects and activities. Brochures and programs from field trips and events your child has attended, along with relevant photographs. Certificates and awards your child has received from involvement in classes or activities outside of the home. Any additional materials that demonstrate your child's progress or achievements throughout the year. Follow this link to download a printable Homeschool Achievement List you can place in your homeschool portfolio. Remember, you don't have to save every item your child produces over the course of the evaluation period, and you certainly don't have to include each item in your homeschool portfolio. Focus on preserving and displaying your child's best work. 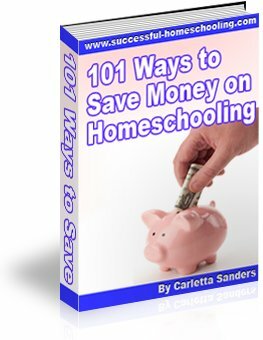 Follow this link to find additional information about homeschool record-keeping. Do you need help preparing transcripts for a high school student? Follow this link to learn more about preparing official homeschool transcripts!